Quick fix spacers bring receptacles and switches flush with drywall or panelling to allow proper fit of wall plates. 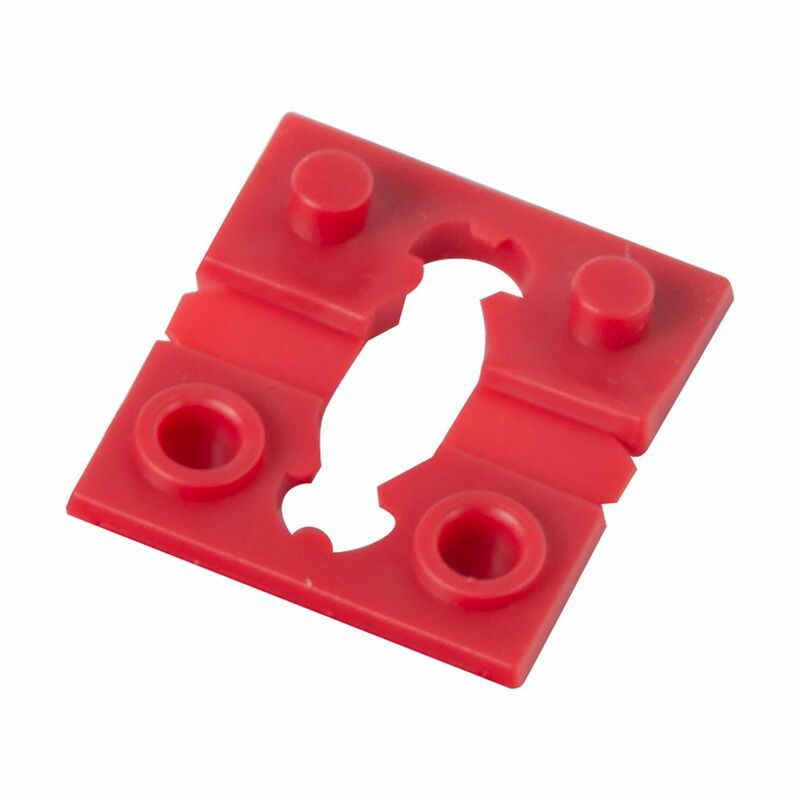 Use to aid in the installation of loose fitting devices or covers. The four-inch stack of spacers twists apart to easily provide the desired thickness. On installations where screw tightening is required, spacers can be snapped or slid over machine screw shaft. Klein's ''Made in the USA'' Slotted Demolition Driver is engineered, manufactured and tested for prying and chiseling. The heat-treated metal shaft runs the complete length of the handle to the metal strike cap. This transfers the impact force directly to the work surface. In addition, the plated metal strike cap protects the handle from hammer blows. Klein Tools' top-of-the-line hole making products provide accuracy, consistency, strength and long-lasting performance to meet the needs of professionals. Klein's Knockout Punch Set reduces wrench effort to save time jobsite. Klein now offers even more hole making solutions to help get the job done right. The Klein Tools 3/4-inch Conduit Bender and Handle offers a Benfield head that reliably and repeatedly performs common bends, such as stub-ups, offsets, back-to-back and saddle. The head features well-defined cast-in benchmark symbols and scales to aid in accurate bending. Qwick-Fix Spacers, Adjust Length of Recept or Switch to Fit Faceplate, 4-inch Stack Twist-Apart; 4/Bag Quick fix spacers bring receptacles and switches flush with drywall or panelling to allow proper fit of wall plates. Use to aid in the installation of loose fitting devices or covers. The four-inch stack of spacers twists apart to easily provide the desired thickness. On installations where screw tightening is required, spacers can be snapped or slid over machine screw shaft. Qwick-Fix Spacers, Adjust Length of Recept or Switch to Fit Faceplate, 4-inch Stack Twist-Apart; 4/Bag is rated 5.0 out of 5 by 1. Rated 5 out of 5 by RJRR from Works perfectly. Purchased these to put between an electrical outlet that is right in the middle of our mirror. We've had problems before with the mirror cracking due to pressure from plugging in items to the outlet. Now that we have these spacers in there, it alleviates the pressure from the mirror.